Art satisfies the soul. It makes us appreciate things we normally take for granted. Feast your eyes and soul on these ten amazing artworks, made from otherwise ordinary objects, proof of how art can make us see the world differently. Feel free to add your own in the comments. Sunshine Plata of Manila, Philippines, creates whimsical paintings with a difference: instead of oil or acrylic paint, she uses coffee as her medium. 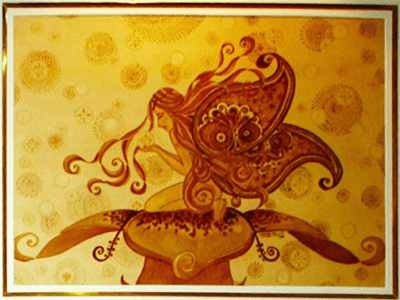 Inspired by an exhibit of 19th-century artworks done in coffee, Plata creates entrancing sepia images of fairies and religious figures from the aromatic beverage. Her paintings proved to be so unique and beautiful, that on her first solo exhibit of caffeine art (entitled ‘L.S.D. (look, smell, discover) Trip by Caffeine’), only seven of the thirty-two works exhibited were left unsold. 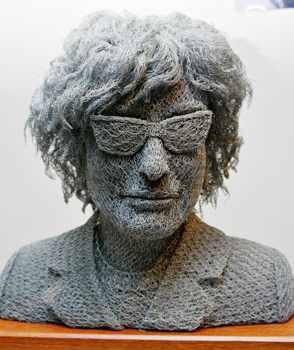 Ivan Lovett of Queensland, Australia, creates remarkably lifelike busts of famous icons such as Salvador Dali, Bob Dylan and John Lennon, from ordinary chicken wire. Each one of the highly-detailed pieces takes around three weeks to finish. 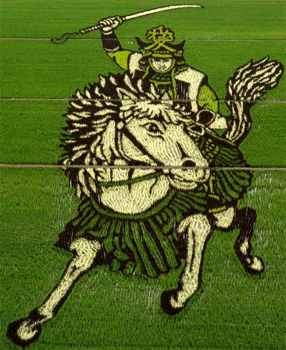 Every year since 1994, the small village of Inakadate, located in the Minamitsugaru District in Aomori, Japan, creates astonishing images in their rice fields to draw tourism to the place. The pictures are made using two types of rice plants: the purple or yellow-leafed “kodaimai” rice and the green-leafed tsugaru-roman rice. The giant pictures are visible until September, when the crops are harvested. 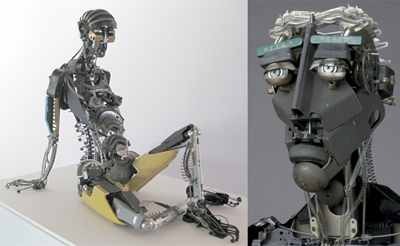 Jeremy Mayer sculpts anthropomorphic figures out of vintage typewriter parts. The metal creations were made without the aid of welding or adhesives. Some of his life-sized works contains parts from roughly 40 typewriters and could take a thousand hours to create. New York artist Jason Hackenwerth uses thousands of colorful balloons to create amazing installations that resembles alien creatures. 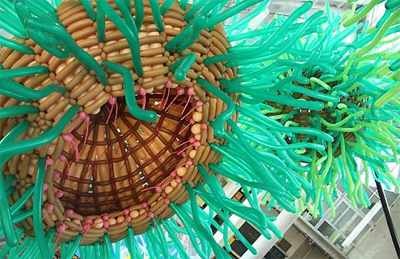 As many as 3,000 individual balloons go into each piece, and each piece can take up to 25 hours to finish. Using a special camera with a fast shutter speed, Graham Jeffrey captures amazingly beautiful pictures of smoke. 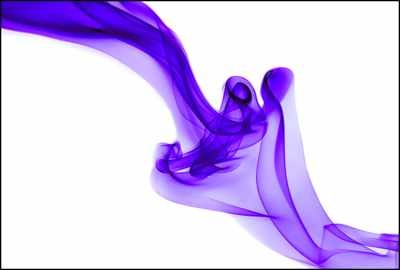 Using incense sticks as the smoke source, Jeffrey preserves images of the ephemeral subject, adding color and manipulating the smoke to make enchanting shapes and forms. 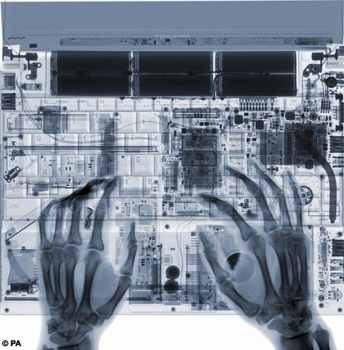 Nick Veasey of Kent, England, turns the mundane into the magnificent by X-raying ordinary objects, and turning the photographic results into art. While working as a photographer/designer for a television company, he was tasked to X-ray a truck full of soda cans to find a can containing a prize-winning ring pull. After three days without a winner, he X-rayed his sneaker out of boredom. 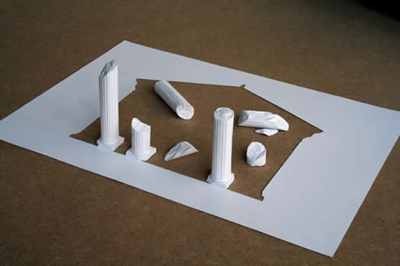 Fascinated by the result, he was duly inspired, and after three months of exploring and experimenting with the medium, Veasey has perfected his unusual art. Using an abandoned radar station as his studio, Veasey creates ghastly yet stunning X-ray images of various animals, a DJ holding a microphone, a man riding a bike, a tractor, and even a bus loaded with people. But Veasey’s most ambitious X-ray project as of yet is a 20,000 square-feet X-ray of a hangar containing an entire Boeing 777 jet, making it the largest object ever X-rayed. Australian Peter Terren likes playing with electricity. He does what he calls the ‘Holy Art of Electrickery,’ which is basically creating spectacular art made of pure electricity. 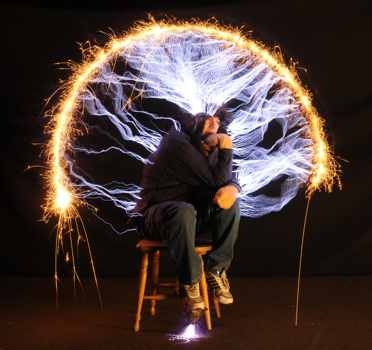 Using an electric transformer called a Tesla coil (that he built himself ) that shoots out bolts of electricity (called plasma), Terren photographs these electric discharges, using long exposures to capture impressive images of electric ‘sculptures’ that danced through the air. Terren sometimes even incorporates himself into his photographs, like in his rendition of the famous sculpture ‘The Thinker’. Despite the unreal nature of the images, Terren insists that there is no Photoshopping involved in the production of his pictures, and only slight alterations were made to them post-production. 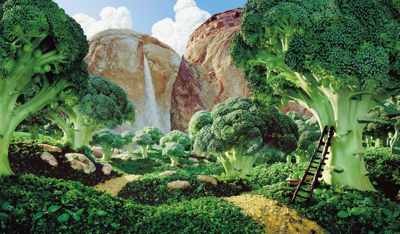 Carl Warner gets the top spot on this list for his brilliantly realistic photographs of landscapes, which are created entirely from food. Warner, a London-based photographer, uses various food items like vegetables, fruits and bread, to create amazingly detailed dioramas, and photographs them for posterity. The dioramas, nicknamed ‘foodscapes’ , were made atop an eight feet by four-feet table, with the assistance of model-makers, and the scenes depicted ranged from a broccoli forest to a smoked-salmon sea in sunset. Warner photographs each scene multiple times, then he edits the images on a computer to produce the striking images. Seven more of Warner’s scenes can be seen here.